The first things I decided to try from the box filled with nail art things from Depend was the decoration tools kit. More precisely the detail brush and the dotting tool from the kit. This kit actually contains four brushes but I have only tested the two so far. The detail brush is a bit shorter than what I’m used to with my other brushes, but it’s still easy to hold and to work with. 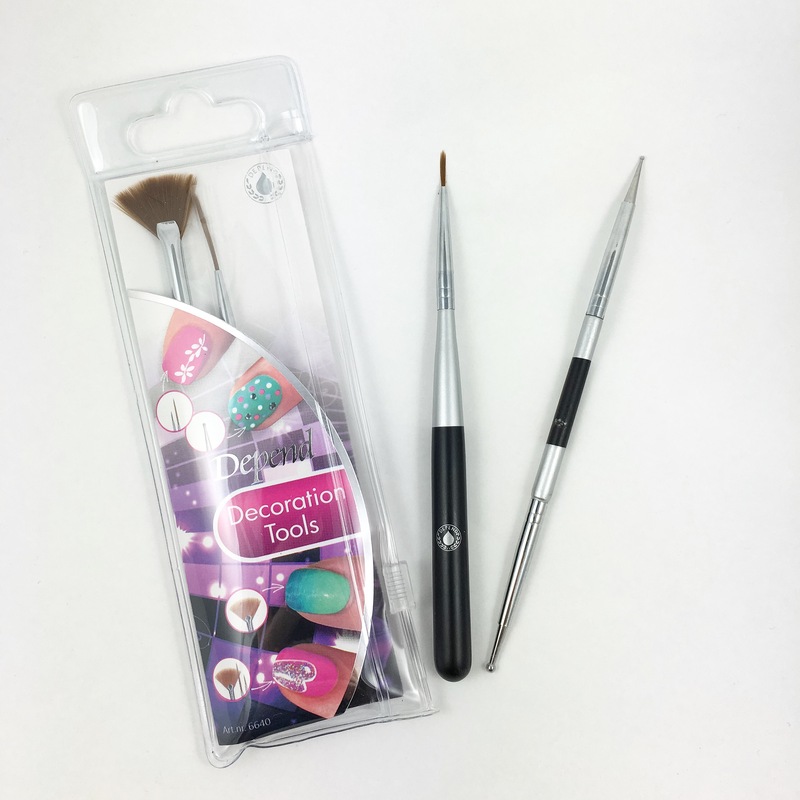 The dotting tool has two sides, one with a bigger end and one with a smaller end, they turned out to be the perfect sizes for making my mani! 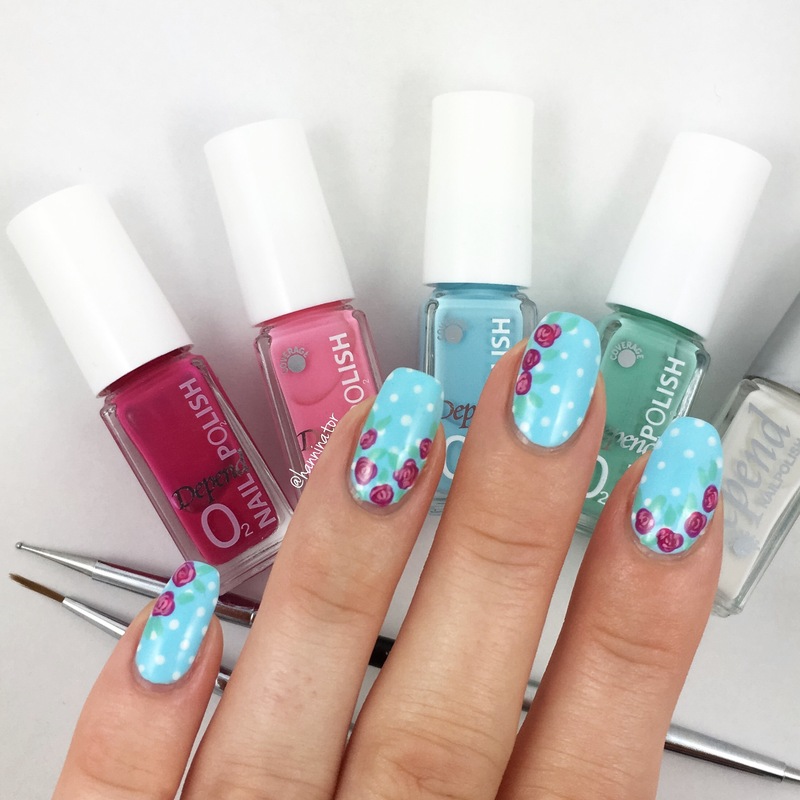 All the things I used for this manicure: Depend O2 486 (blue), Depend 031 (white), Depend O2 369 (cerise), Depend O2 488 (pink), Depend O2 489 (green), Depend dotting tool & detail brush. 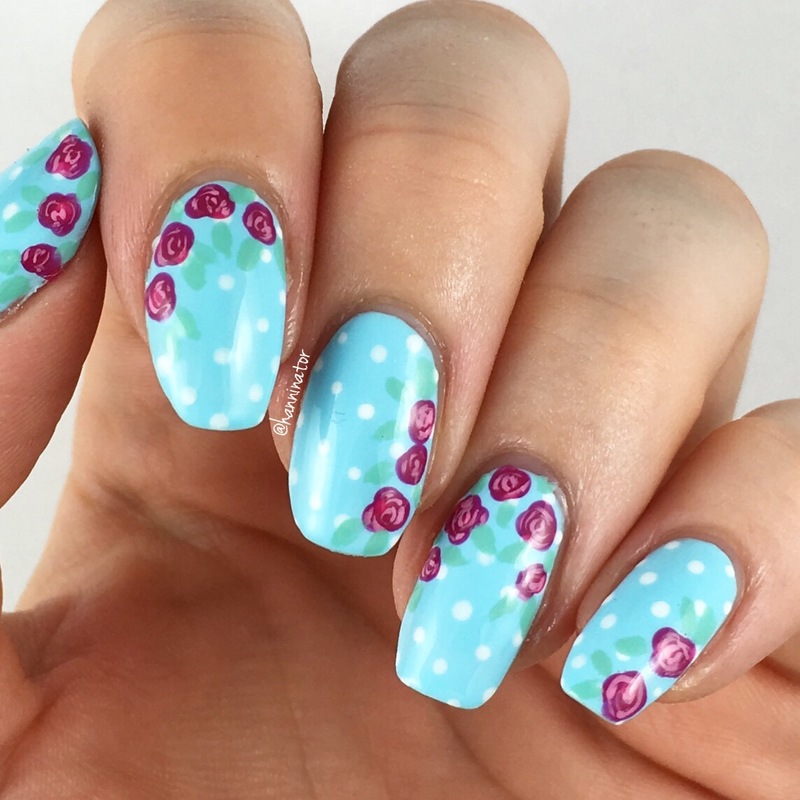 The small end of the dotting tool turned out to be the perfect size for the dotticure! And I used the bigger end to make the first step of the roses. To paint the pink in the roses I used the detail brush, and I think it was just the right size to make small details and lines. It works for a little bigger detail too, like the leaves. This is how my manicure turned out using the tools and polishes from Depend. I wanted to do a mani that was very me since I thought that would be the best way to test the new tools and I’m really happy with the result! The Decorations tools kit is available in stores now and retail for 149 kr.